I love the Arizona desert because it brings me closer to my mother and father. My mother was incarcerated at the Gila River concentration camp and my father was at Poston until he joined the 232nd Engineers/442nd Regimental Combat Team. I’ve also come to love Phoenix, in spite of the soaring temperatures, although it’s really only unbearable for a short period of time, or so I’ve been told. Mostly, I love the people who make up the JA community in Phoenix, whom I’ve come to call my friends. I first met Mas Inoshita (Rafu, Dec. 29, 2015), who guided me and Kathy Masaoka to the Gila River Monument in 2009. Mas took care of the monument for many years. During this same trip, we met Ted Namba. My initial connection with Ted and Mas was with their devotion to the Gila River Monument, dedicated to the young men in the 442nd who were KIA in combat in France and Italy during World War II. When Mas could no longer drive himself out to the monument, it was Ted Namba who took over that responsibility. Seven years ago, Ted became that important and trusted liaison with the Gila River Indian Council (GRIC) and organized groups in cleanup efforts, following in Mas’ footsteps. Both men painted over the graffiti on the monument, picked up broken glass and trash. Both men taught others about this loathsome time in history. Both men were well respected as community activists and civil rights leaders. 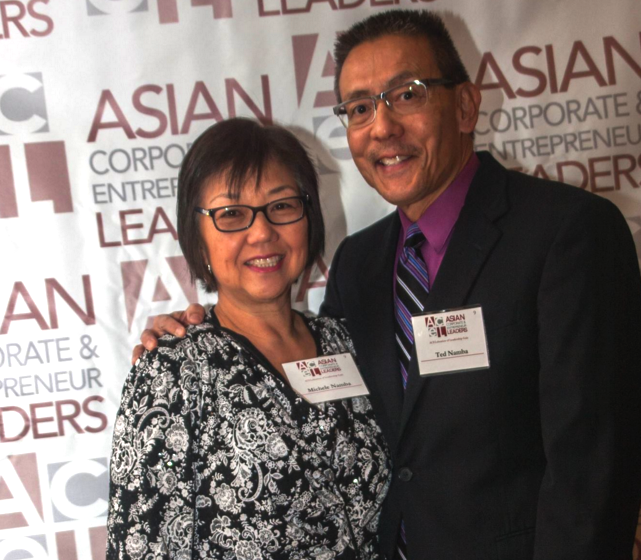 Ted and Michele Namba were active with ACEL (Asian Corporate Entrepreneur Leaders) in Phoenix. Mas passed away July 16, 2015 at the age of 95. Ted organized a cleanup in November of 2015. Over 75 people came out because it also served as a special way to honor Mas. Gila River was my main bond with Ted. I also attended the huge, successful Arizona Matsuri, always held at the end of February. Ted was one of the co-chairs and worked on the Matsuri for 20 years. Quite unexpectedly, on July 24, almost a year to the day after Mas passed away, Ted Namba, at the age of 58, passed away peacefully with his family by his side. Attending his memorial service in Phoenix, I learned that I only knew a very small part of what makes up Ted. When I say that Ted was truly an amazing person…I mean Ted was truly an AMAZING person! I listened to speaker after speaker, each from very diverse communities, and Ted’s involvement with them. 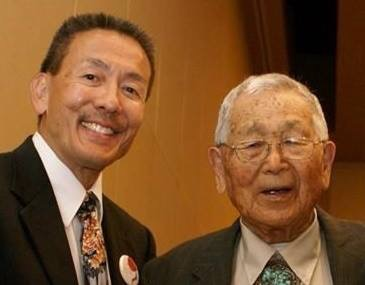 Ted was a key member of JACL to the Victoria Foundation, American Democratic Caucus, and Asian Hispanic Alliance, and was founder of the City of Phoenix’s Asian American Police Advisory Council. Ted was encouraging dialogue with law enforcement agencies to avoid situations similar to what is going on around the country. Ted was also a board member of the Phoenix Sister Cities Himeji Committee as well as a member of the Maricopa Community College Foundation, and was involved with the Japanese American National Museum in Los Angeles. He was an optometrist and an active participant in the “Gift of Sight” program in which optometrists provide complimentary eye exams to individuals in underprivileged communities. Ted was a member of the American Optometric Association, Arizona Optometric Association and Asian American Optometric Society. Even though Ted was a cornerstone of the Phoenix community, he also had ties to the SoCal community. Some prominent community leaders shared their thoughts about Ted. Brian Kito, owner of Fugetsu-Do, remembers Ted to be a team player who always remained cool and calm. Ted was also willing to share his experience and in particular helped with the Tanabata Festival, utilizing his experience from the Arizona Matsuri. Brian reflected on Little Tokyo community leader Nancy Kikuchi, who also passed away and whom he felt shared similarities with Ted. Brian looked to both Nancy and Ted for answers and knows there will be a void for the Phoenix community since Ted was a problem-solver and leader who led with respect. David Kawamoto, former National JACL president: “Ted Namba had a thoughtful and caring nature and a warm smile. He was beloved by all. Ted’s active involvement in so many organizations was phenomenal. 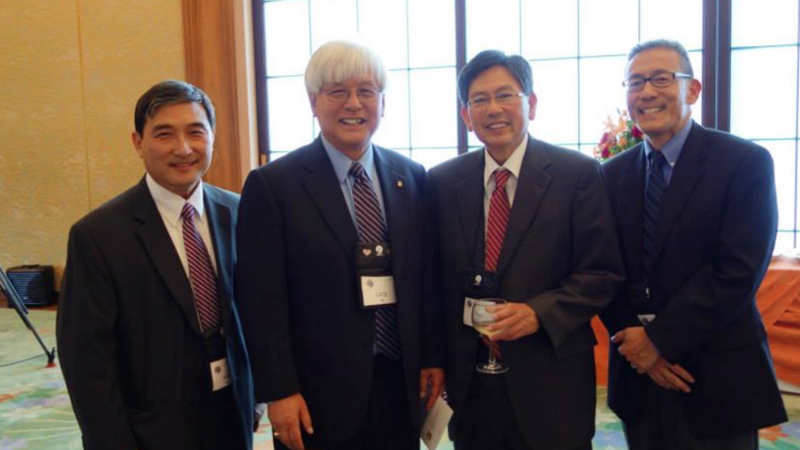 I was able to work with him on several JACL projects. Predictably, Ted was thoroughly involved in each one and worked diligently to assure the success of each project. Debra Nakatomi of Nakatomi and Associates: “In 2009, I met Ted as fellow delegates in the U.S.-Japan Council’s Japanese American Leadership Delegation. During our travels, he shared about his great-grandfather’s journey to the U.S. to fulfill his dreams and of his own desire to help connect the people of the U.S. and Japan. Ted is survived by his wife, Michele; children, Lauren and Brian; parents (from Carson), Wataru and Reiko; brother, Robert (Stephanie); sister, Anne (Mark) Nakao; and many nieces and nephews. Ted will be remembered at a memorial service on Saturday, Aug. 20, from 11 a.m. to 1 p.m. at the Gardena Buddhist Church, 1517 166th St. in Gardena.